Showing results for tags 'Kingdom Hearts Channel'. Hey what's up everyone.Im new to this site but have a Kingdom Hearts youtube channel that I've been working on. We are also doing a giveaway at the moment. Would appreciate it if any of you checked it out. 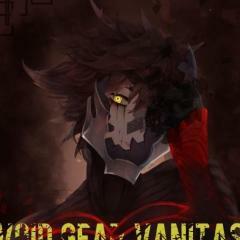 My channel is Void Gear Vanitas Here's the link:https://www.youtube.com/channel/UCjPwhRWIltk0U7VNt3qaVig Thanks and let your hearts be your guiding keys! Hey there everyone, how's it going? Well, I have had this thought since this morning, and well, since the new year is coming around, I wanted to ask you all for your opinion on what I'm about to discuss, so here's what I'm thinking. The Kingdom Hearts series is an amazing and wonderful series, as we all know, and well, there's tons of things that are ripe for discussion, and I want to create a Youtube channel where I discuss upon said topics, and I'd also make videos of bosses, Keyblades, abilities, story moments, characters and other aspects of the series that are my favorites, and well, that's the general consensus. So then, if I were to make said Youtube channel, would you all be willing to subscribe? It'd be awesome and it would mean a lot to me! Anyways, as I said, this is still just a concept in my head, I just wanted to ask you all for your opinion. So then, what do you think? Should I go through with making a Youtube Channel that's all about Kingdom Hearts?